First year coaches, Tanisha Batiste and Charline Varnado, directed the Lady Warriors team to a .500 season. 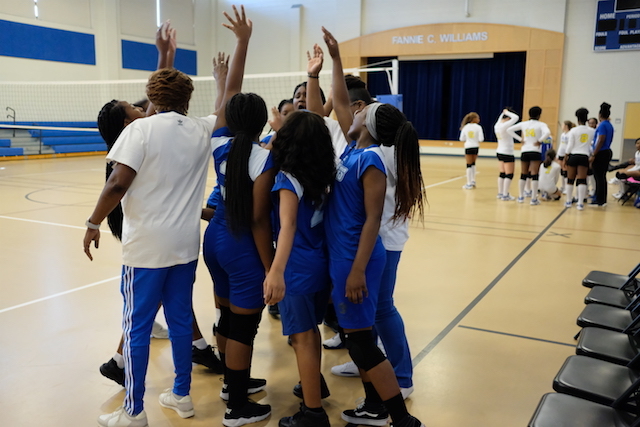 The team was unsuccessful in the MMSL playoff tourney on Saturday, October 27th, concluding the season with a 5-5 record. We anticipate that next season the team will build upon this year’s experiences, becoming more of a force in the MMSL. 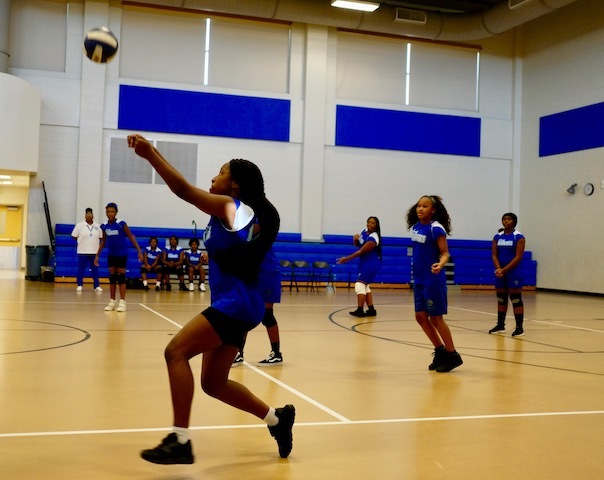 The student-athletes were: Nya Batiste, Carltayjah Bazile, Jahda Brown, Amiyah Duret, Alvionce Jones, Shaina Lacayo, Jada Morris, Chrishel Oliver, Keymani Reese, Royelle Robins, Carissa Washington, and Angela Williams. Great effort ladies! 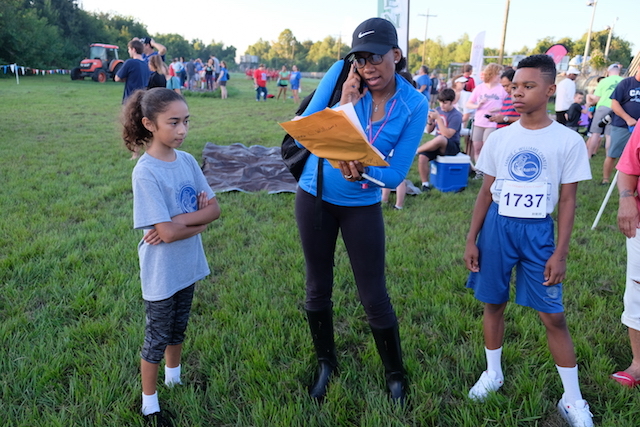 Some of our most disciplined student-athletes are six students that compose our Cross-Country team, coached by runner enthusiast and Physical Education teacher Dana Williams. This group competes on a Saturday morning, with racing beginning at 7:30 am. 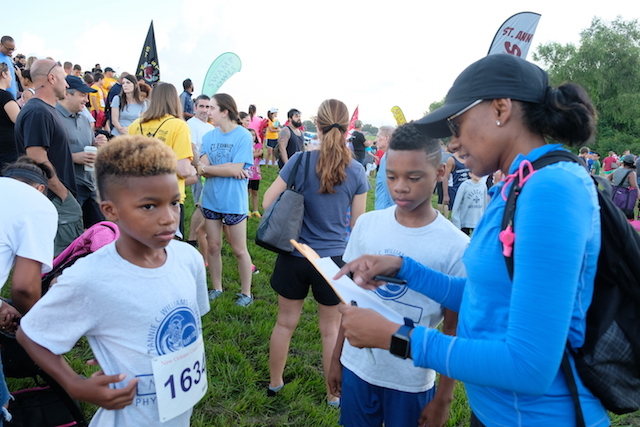 CC is a sport in which teams and individuals run their races on outside courses over natural terrain such as dirt, grass, or in the case of the Warriors in the Metro Middle School League (MMSL), the levee batture in Jefferson Parish. 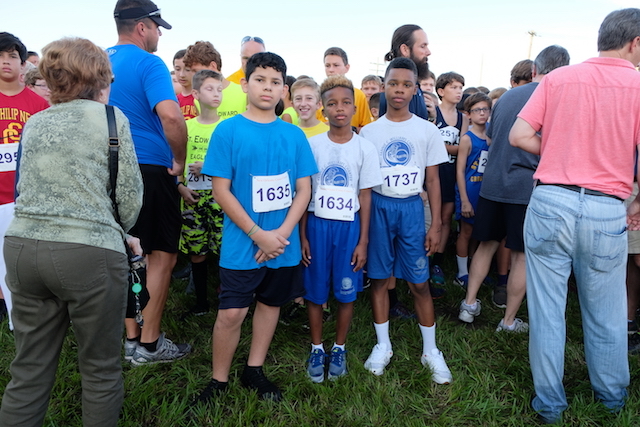 Runners competed in five meets, including the MMSL Championship Meet where runners Graciela Nunez, Malik Farria, and Christian Rivera finished among the top 30 runners in the 1.5-mile run, finishing the race in less than 12 minutes. This year’s running Warriors are: Reyli Bejarano, Malik Farria, Graciela Nunez, Christian Rivera, Robert Taylor, and Angela Williams. Great season team. 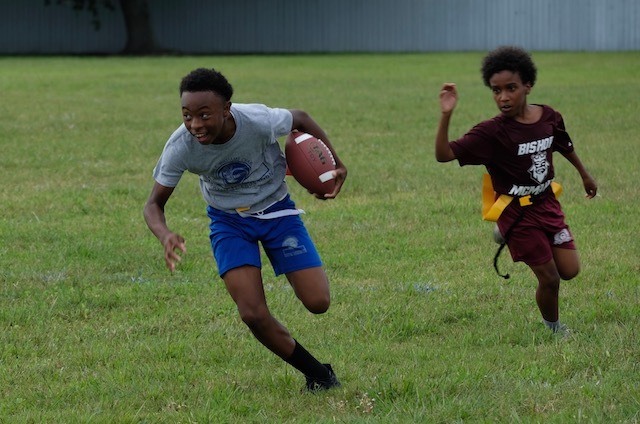 For the third time in six seasons, the FCWCS Warriors have captured the Metro Middle School League (MMSL) Championship in Flag Football! They ended the seasons undefeated, 8-0. 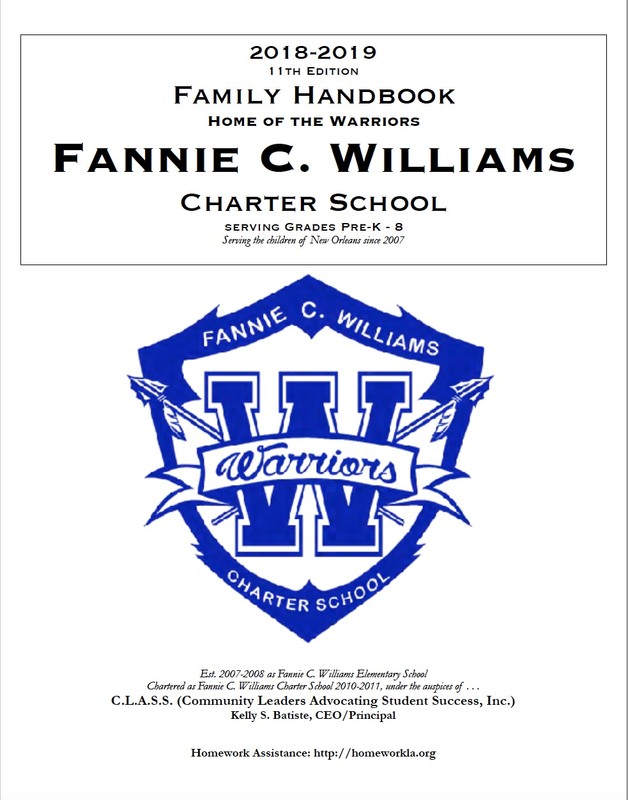 Fannie C. also won league championships in 2013 and 2014. 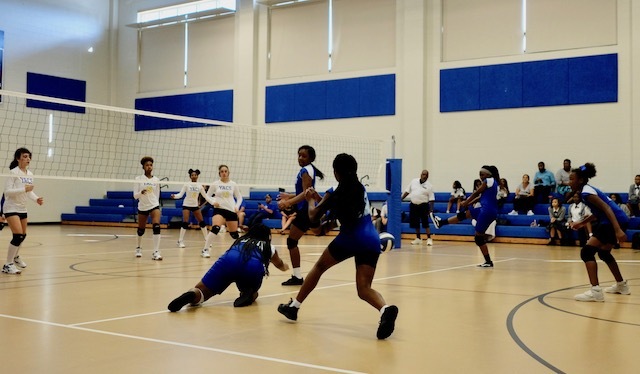 Coach Terry Green steered his team to victory against the Arden Cahill Academy on Thursday, October 18th. 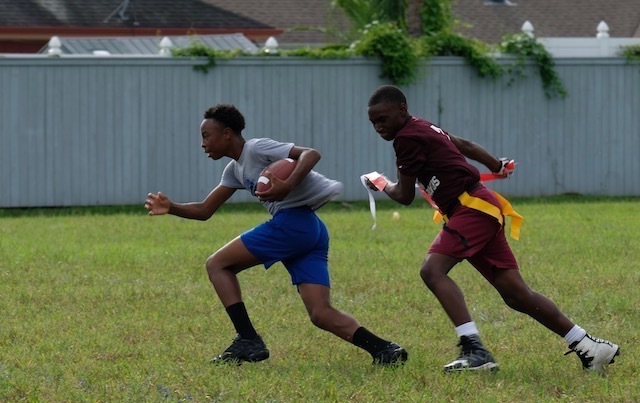 The team was composed of the following student-athletes: DeShaun Batiste, Cedric Dyer, Edwin Fefie, Ahmad Gains, Ashai Goffner, Lawrence Goffner, Akiem Horace, Devin Leaper, Donté Martin, Allan Mercadel, Shavez Morris, Maleek Noah, David Norwood, Melvin Rayford, Tyron Slack, Tyree Strowder, Laval Sullivan, Jaylyn Tyler and David Williams. 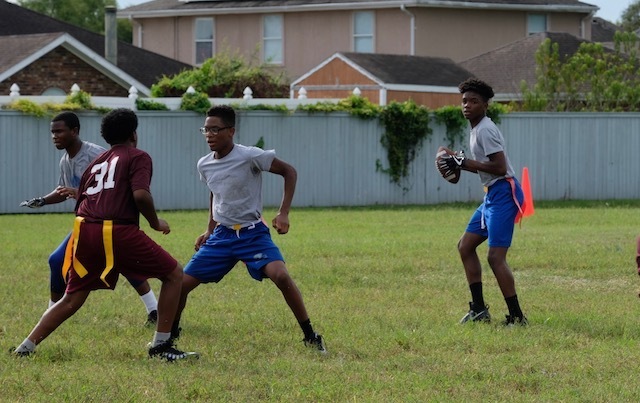 This season also marked the first time the Warriors were able to play a home game on our campus. 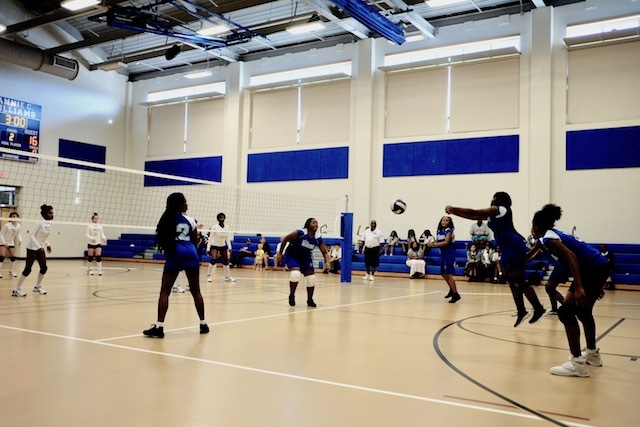 Pictures are from the team’s first home game against Bishop McManus on September 24th. Congratulations guys on a well-played season. 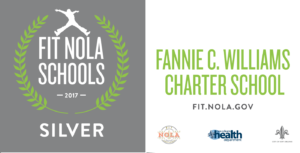 FCWCS was chosen to represent all elementary public schools in Orleans Parish for Cyber Safety Day (October 10), New Orleans. 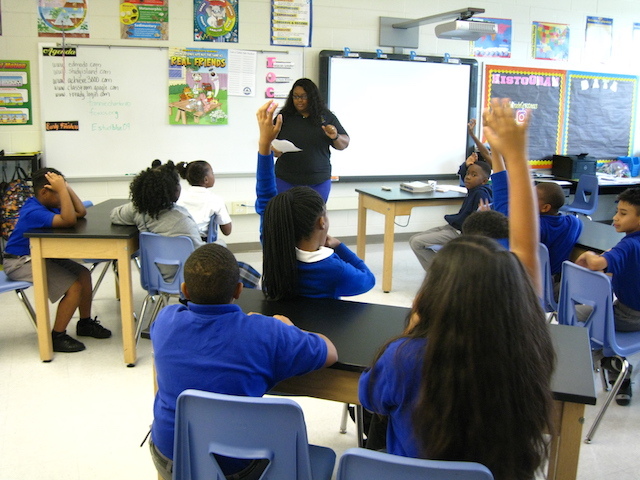 Schools and communities joined forces to ensure young scholars receive the tools to become responsible digital citizens. 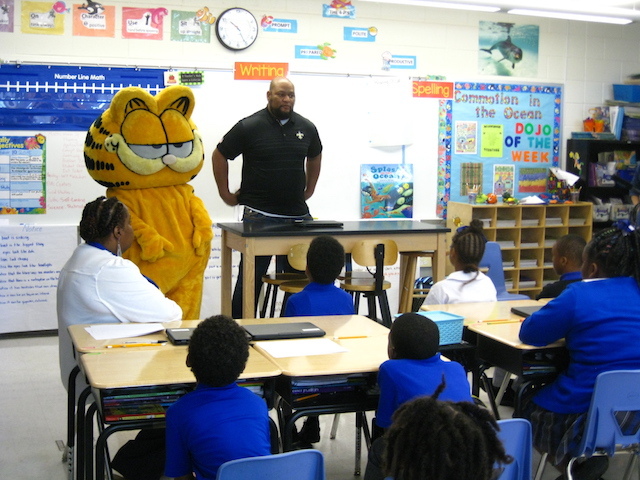 Our 3rd and 4th graders viewed Garfield’s Cyber Safety Adventures. 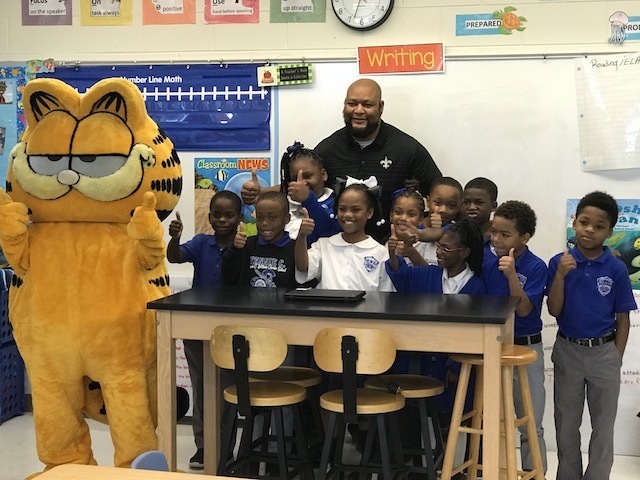 Everybody’s favorite cat, Garfield, and former Saints RB Deuce McAllister were on hand to help deliver the important message. 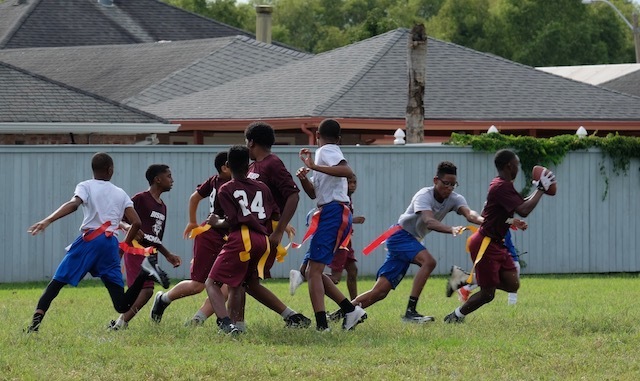 This activity was sponsored by Cox Communications, Metairie Bank, and General Electric. 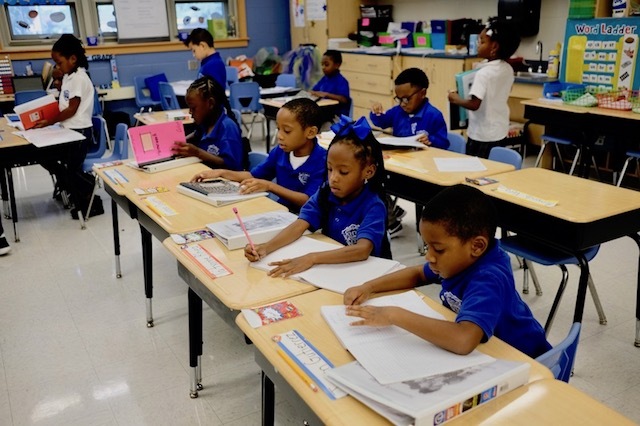 Hard work brings results when students are engaged in their lessons! 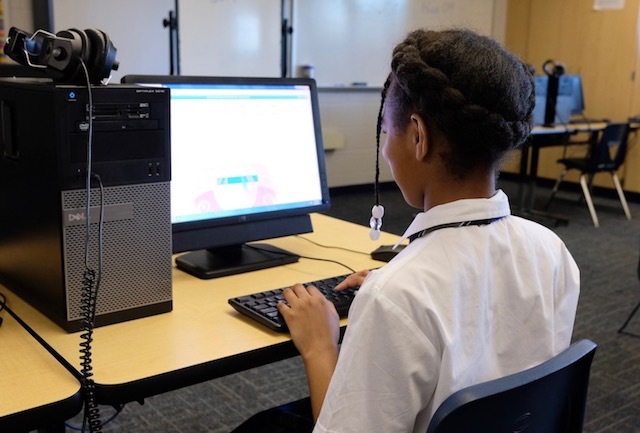 Sometimes it involves a face-to-face interaction with their teacher or working solo on a web-based program on a desktop computer. 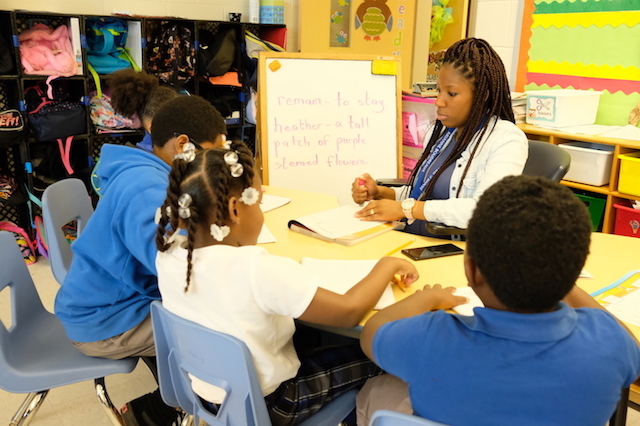 Whatever the lesson productivity can bring positive results in the classroom. 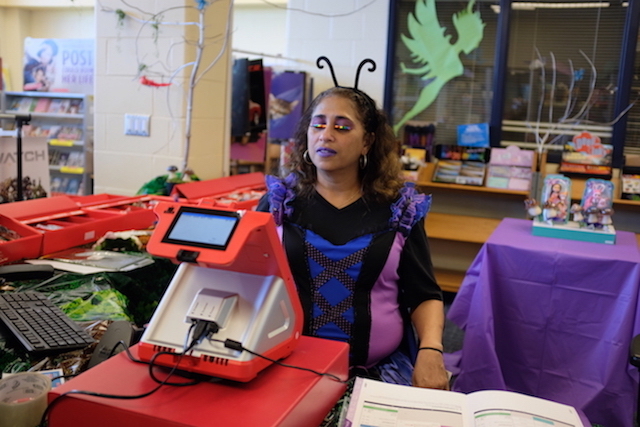 How often do you see a staff of educators show up for work dressed as fairies? 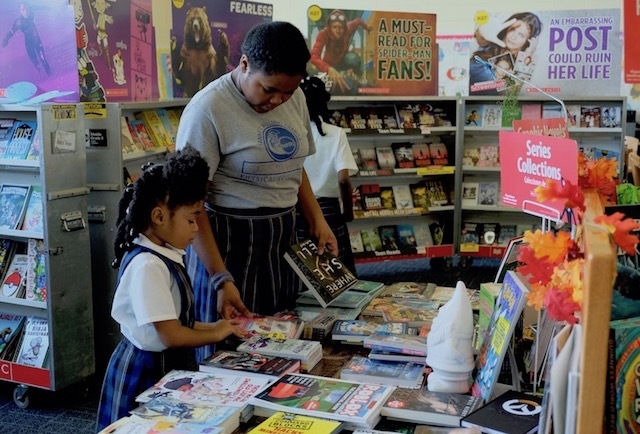 If you’re at Fannie C. Williams you know anything is possible–especially the week of September 17th-21st at our annual Fall Book Fair. 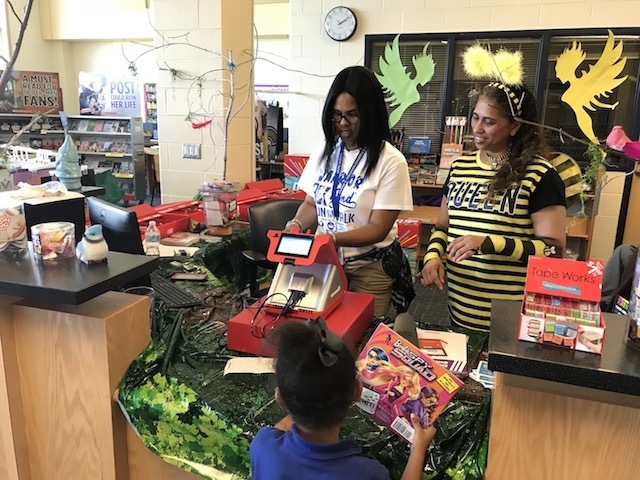 Staff does anything to encourage Warriors to support the Book Fair by purchasing a book or two and reading, even if it means dressing like a character from a movie. 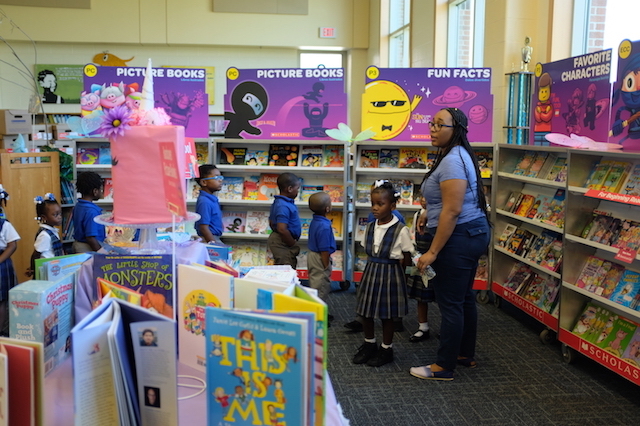 We love encouraging students to be enchanted by the power of a good book!